Drop Target #4 debuts at MoCCA this weekend! Hi everybody, this is just a quick update to let you know that Drop Target #4 is soooooo close to being done! We are proofreading the issue and waiting for a few last elements. I think this will definitely be our strongest issue yet! We will be debuting Drop Target #4 at the MoCCA Arts Fest in New York City this weekend! Jon and I will be at table M11 (along the back wall), so if you are in the area, swing on by! We should have all the details of its contents, along with ordering information up on the site a week or so later (early May). If you can't make it to New York this weekend, please be patient... This one's gonna be worth the wait! You gotta be kidding me! There's no way that any of my interests this far flung should ever be in the same orbit! The same SOLAR SYSTEM! Let's be clear, I DO NOT care about fashion. This is the only, and I mean THE ONLY, thing about fashion that I care about. 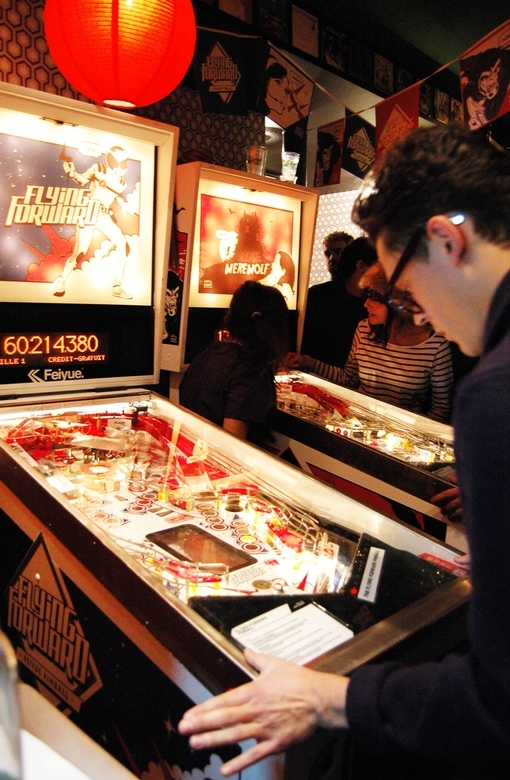 So go figure, the ONLY thing fashion related that I'm into is also related to pinball. THIS IS A SIGN FROM THE UNIVERSE! I must be doing SOMETHING right! I'm hard-pressed to find out more info about the machines or the event since everything I've found is in French : ( From what I've seen, though, the machines look SUPER SLICK, and it looks like a TON of people attend these events. I can't get over how cool this is! 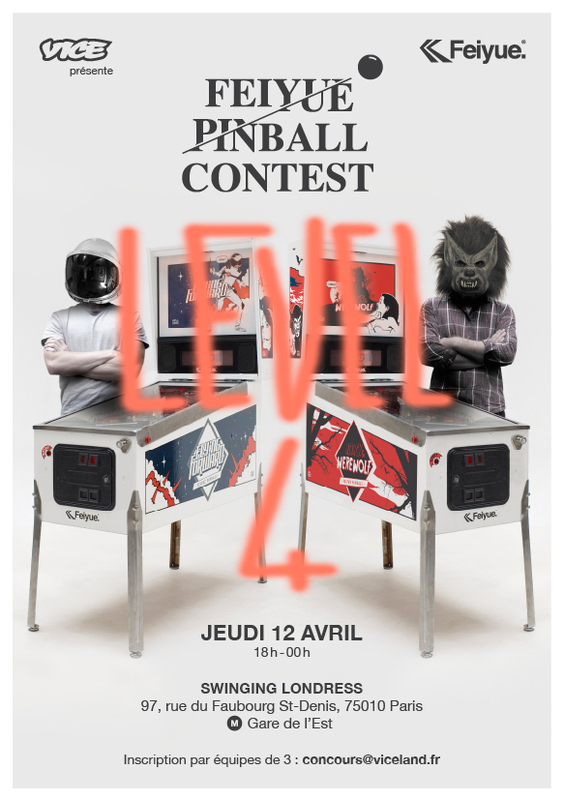 Can more of my interests start intersecting with pinball?!? Biking + pinball? 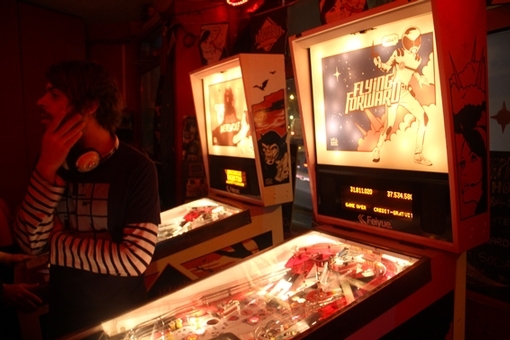 Comics + pinbal... oh wait! That's what we're doing! 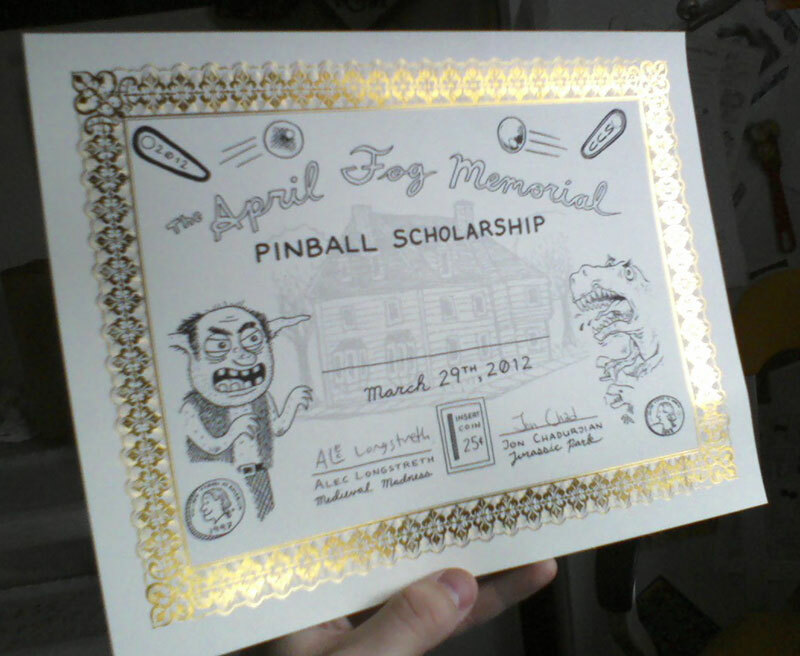 The 2012 April Fog Memorial Pinball Scholarship! When Jon Chad and I put our pinball machines in the media room at the Center for Cartoon Studies, we set up a deal with CCS in which 50% of the proceeds would help us pay for our machines and 50% would be donated to the school in the form of The April Fog Memorial Pinball Scholarship (named for the house in which my Medieval Madness machine used to live). Since last year's scholarship, there have been 1,289 games of Medieval Madness played, and 606 games of Jurassic Park (those stats DO NOT include games played by me or Jon). This adds up to $398.00, which is a lot of pinball! Before spring break, the CCS seniors submitted design proposals for their thesis projects, including mock-ups of the finished packaging. During spring break, two alumni (Joe Lambert and Jen Vaughn) looked through the proposals and selected the best four, based on design and content. Each of the four students will receive 1/4 of the money as photocopies, to help with the printing of their thesis projects. 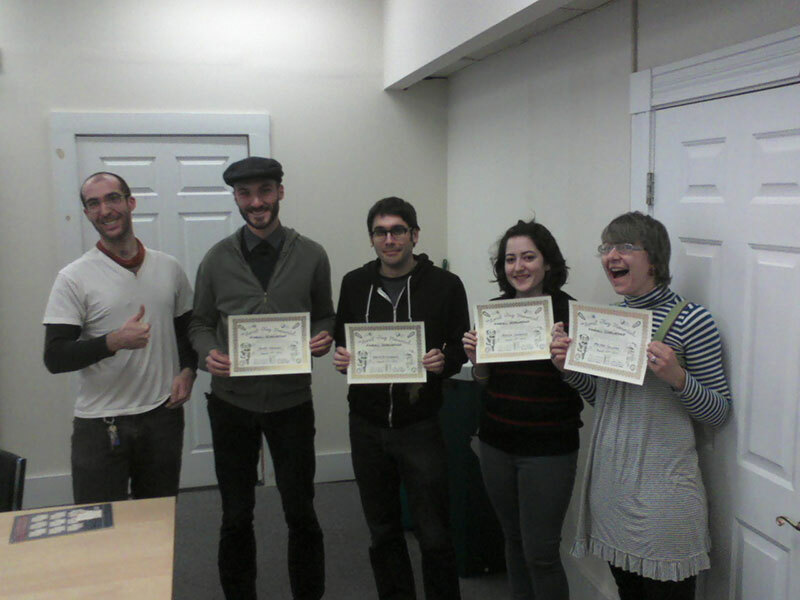 That's Jon on the far left, then from left to right it's: Andy Warner, Dakota McFadzean, Amelia Onorato and a very excited Melanie Gillman. Congratulations to these seniors, and thanks to all the students, staff, alumni, fellows and faculty who dropped a quarter or two in the machine!